If you have ever wondered whether you can be hypnotised, here’s a hypnosis test to see if you are well-suited. The feeling of being hypnotised is not as bizarre as people often think. Yet stage hypnosis and the media portrayal of hypnosis still create inflated expectations of people being “controlled in a trance-like state”. The anticipation of this experience has become deep-rooted in the public’s psyche. Not surprisingly, when you start a course of hypnotherapy, your expectations are biased. You want to have what it appears that they have “had” on the television or stage. If you don’t feel as if you are “under the hypnotist’s spell”, you think that the treatment is a hoax. Even when the hypnotherapist tells you what to expect in hypnosis (and I have lost count of how many people I have told), your mind is still set on what the television has ‘taught’ you to believe i.e. that you are going to be put into a catatonic state! Are you a good candidate for hypnosis? Hypnosis is more of a “natural” state than people imagine. You are experiencing it several times throughout your day and it doesn’t need a swinging watch to put you into a hypnotic sleep! Some people are more receptive to hypnosis than others and can expect to experience rapid changes in a course of hypnotherapy. Answer the following twelve questions to see if you and hypnosis are well-suited. 1. When the television is on, can you “switch off” and lose track of what you are watching? 2. When reading a good book, can you “close off” to any external distractions? 3. When you go to the cinema or theatre, can you feel emotional when you see something sad? 4. When you close your eyes, how quickly can you fall asleep? C. When the alarm goes off! 5. When chatting to a close friend, do you lose track of time? C. Can’t stop looking at my watch! 6. When you see someone else yawn, does it become contagious? A. Repeatedly, I’m yawning right now! 7. Do you salivate when thinking about sucking on or sinking your teeth into a sour, juicy lemon? 8. When you get like to a new song, does it keep going round and round in your mind at the most inconvenient moments? 9. If you close your eyes, can you visualise a journey from your house to the nearest shop? 10. Would you (or others) consider you to be a creative person? 11. When you drive to a familiar place e.g. work, does your mind switch to auto-pilot? 12. If you see a crowd of people looking at something, do you tend to look in the same direction out of curiosity? You have a strong will, yet in the right situation you can be highly suggestible. You retain excellent visualisation skills and can access your emotions easily. You achieve outstanding results when you assign the right emotion to a task. You also find it easy to concentrate and focus your attention with minimum input from an external source. You enjoy being creative and using your imagination. You can relax with little effort. You possess an exceptional mind that is made for hypnosis and would respond very well to a course of hypnotherapy. If you are seeking to make a therapeutic change, hypnotherapy can help you accelerate this change in a relatively short period of time. You are slightly more analytically focused, but on occasions you can employ your creative side. In some situations you can be spontaneous and “let yourself go”, but generally you prefer to be “in control”. Thus it can take some time for you to relax, but you do appreciate it once you have let your guard down. There is a tendency to over-think problems and their solutions, but once you have side-stepped your rational approach, the answer is usually accessible to you just below the surface of your mind. You have a great mind for hypnosis but may have some inhibitions about the process or the experience. When you have developed a strong rapport with the hypnotherapist and feel comfortable about letting yourself go, the treatment can help you achieve your full potential. If anything, hypnotherapy will add more control to your life, not take it away. A deeper state of relaxation may not be instant, but it is achievable with some practise (self-hypnosis). You are predominantly analytical in your approach to life and underuse some very effective personal mental resources (your creativity and emotions). Only when you have surrendered your constant search for an answer to your questions, do you begin to use these resources. Keeping control is very important to you. It takes a lot of courage to accept help since you believe that by accepting help, you may lose control of how you like to problem-solve. Being spontaneous is avoided because again, it can seem like an opportunity to lose control and be judged. You struggle to let go and relax; you may wait until you are exhausted before you can relax. You can benefit from hypnotherapy, but certain barriers would need to be broken down through the course of your treatment. Trust and respect for your hypnotherapist are important requisites before you are ready to “open up” and be guided through a process of change. Ironically, this would add more control to your life and help you resolve the issue for which you seek treatment. Can you accept that hypnosis is merely ‘a state of heightened receptivity to suggestion’ and not mind-control? Once you have accepted this, you can then benefit from using these positive techniques. This hypnosis test is not a scientific indicator of your personality type, nor is it necessarily an indicator of a therapeutic outcome. The hypnosis test will give you some idea of your level of suggestibility and likely depth of relaxation in hypnosis. Having completed the hypnosis test, you are now building up a concept of how hypnosis is a common part of your daily experience and how it has less to do with mystical mind control. However, I recognise that you won’t really know what something feels like until you have experienced it for yourself. But in the meantime, here are some common hypnotic phenomena that can help you gain some idea of what to expect when you are hypnotised. Forget what you see on television; just because the subject’s eyes are closed, it doesn’t mean that they are asleep! You may also experience other personal responses that are unique to you depending on the specific suggestions used and how you interpret them. You are now eliminating all of the hypnosis myths about your mind being possessed! Have you ever been a victim of high expectation? A common example is when you are told by a friend who’s opinion you trust, that a film is ‘the best comedy ever – a must see!’ You then act on that suggestion by going to watch the film, building an expectation that you will be ‘splitting your sides with laughter’. But when you don’t “belly” laugh at every joke, you then become more disappointed and alienated from the film as you watch it. The film’s humour is so far away from your original expectation that the jokes become quite meaningless. Inevitably, the film is a letdown! If you would have gone to see the film with an open mind you would have enjoyed the film on its own merits, rather than on high expectation. The patient was waiting for their high expectation to be fulfilled, and became distracted and alienated throughout the process. They didn’t get the hypnotic experience that they “thought” they would get. They were never going fully “let go” until they were (in their own expectation) “asleep”. A lengthy conversation then takes place to neutralise their disappointment and re-align their expectation. But most patients have already lost their patience (!) with the therapy at this stage. So when you enter the hypnotherapist’s practice, “the confidence scales” are usually tipped in the negative position. It requires a skilled professional to balance these negatives, so that you can feel relaxed and assured about your course of therapy. And when you do start to feel at ease with your treatment, it is because the hypnotherapist has built rapport. How long does it take to create rapport? In a typical course of therapy, it is usually built up over a number of consultations. Since it is reasonable to expect a hypnotic induction in the first session, the hypnotherapist has to work very skilfully to ensure that enough rapport is in place to trust them midway through the first consultation. If there are “loose ends” and you feel anxious about any of the above, then the rapport will stay low. The depth of your hypnotic experience is likely to be affected. On rare occasions, when the rapport has been weak, I have refrained from using a “formal” hypnotic induction with a patient in their first consultation. This was because the patient was terrified of losing control. I used “informal” methods that gradually increased their depth of relaxation. It helped to develop their trust and confidence as the treatment progressed. If hypnosis was introduced too early in that situation, it would have weakened the rapport further due to their fears. In my view, the responsibility for building a strong rapport rests with the professional, in this case, your hypnotherapist. But if there is an issue that has been overlooked, ask questions to close the gap. It’s easy to overlook something that can put distance on your therapeutic relationship. You would consider that when you commit to a course of hypnotherapy, you arrive with strong desire to be hypnotised. But behind that ‘want’ can be some very mixed messages. As discussed above, there is usually some anxiety about the process which makes the ‘want’ more of a cautious apprehension. Then there is the issue of ‘what are you being hypnotised for?’ (Your goals) Well, very few patients want to be hypnotised by a hypnotherapist and want to pay for the experience just out of curiosity; it is rarely ‘the goal’. I’ve had less than a dozen patients in my years of practise who are so desperate to experience the ‘state of mind’ in hypnosis, that they have booked a consultation with no apparent therapeutic context. If you fear the embarrassment of being in a stage show, then I think that there’s far less chance of embarrassing yourself in a hypnotherapy clinic. When you are seeking to be hypnotised it is usually for a change (a therapeutic change). This is because nearly all hypnotherapy patients want help to change a “dysfunctional” part of their thinking, emotions or behaviour. At the time of arrival, you just don’t know how to “access” this change. You are prepared to go through a hypnotic induction to identify and transform your negative state. This is your chosen method to help you achieve your goal. So with a realistic expectation and a good rapport, your desire to be hypnotised will be more of a positive ‘want’. There’s also another important ingredient…A belief that hypnosis can do this for you. In therapy, what you believe can play a huge part in determining the outcome. So it is important to make choices that are congruent with how you are as a person and what you believe about your therapy. There are various therapies that can help you, but hypnotherapy offers a number of benefits that make it the right choice. If you scored highly in the hypnosis test (above), then you are someone that has a mind suited to hypnosis. You have good visualisation abilities, you relax easily and you are also highly responsive to suggestions. When using hypnotherapy as your preferred treatment choice, you can expect to achieve rapid results. Many conditions and their symptoms are exacerbated by stress and anxiety. When you reduce your stress and anxiety, it can help you to break the cycle of negative thinking. It can also lower some of the physiological symptoms that can accompany and aggravate your stress and anxiety. Altering your negative patterns of thinking and behaviour requires a process of relearning. But stress can inhibit your ability to acquire your desired state. In hypnosis, you can access deeper states of awareness that can heighten your ability to learn new thought processes, beliefs and behaviours without conscious interference. The imprint of negative experiences can prevent you from achieving your full potential. The emotions from these repressed events continue to influence your beliefs and your judgements. Using regression techniques, these events can be identified and re-framed, changing the meaning of these events and allowing you to embrace the goals you seek. 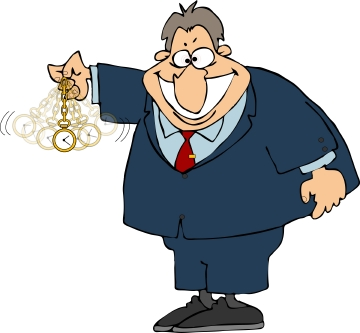 Are you ready to achieve your goals using hypnosis?